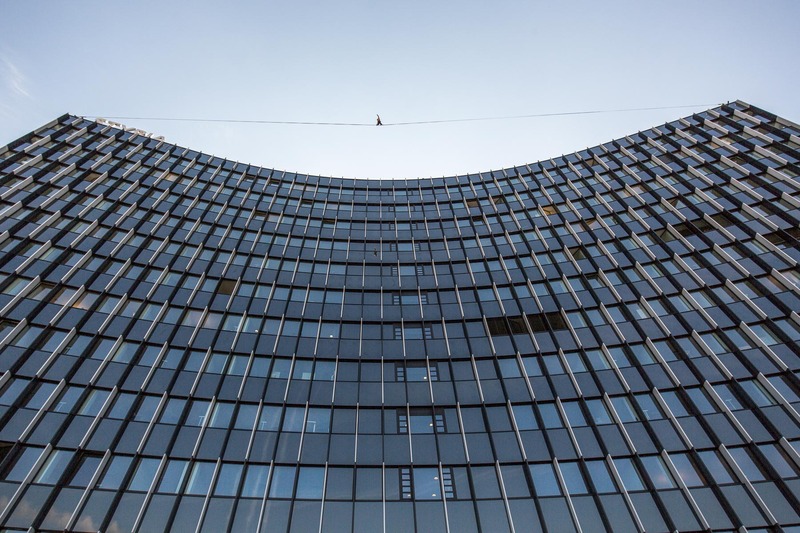 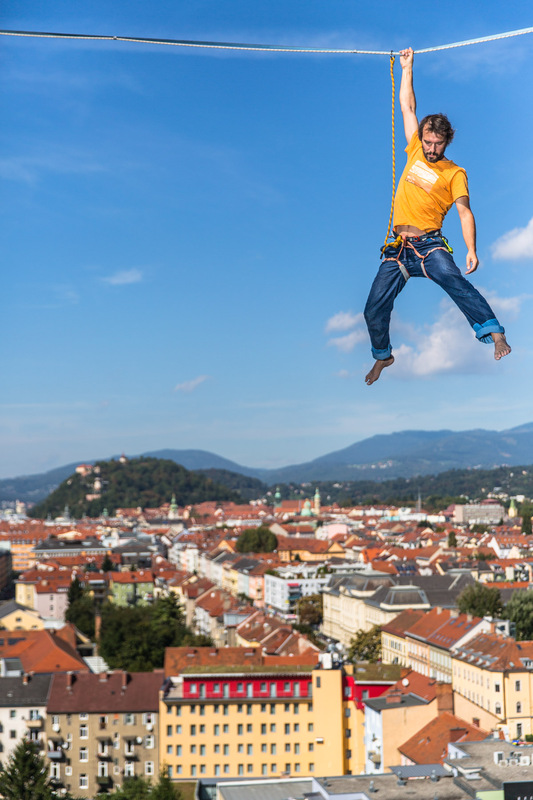 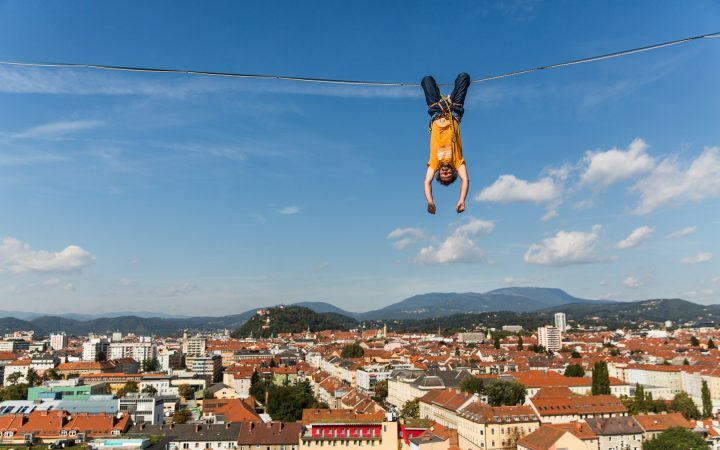 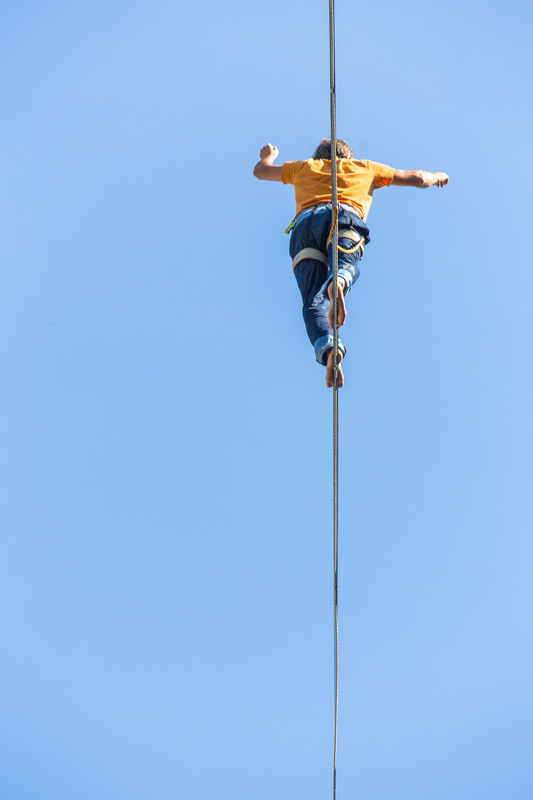 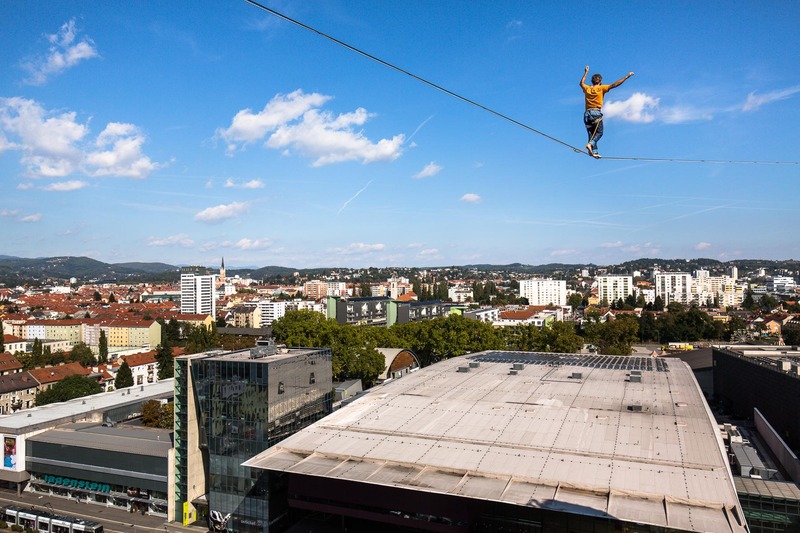 Tagged action, Adventure, Austria, Graz, Highline, highlining, outdoor, Photography, Slackline, slacklining, urban adventure, Urban Exploration. 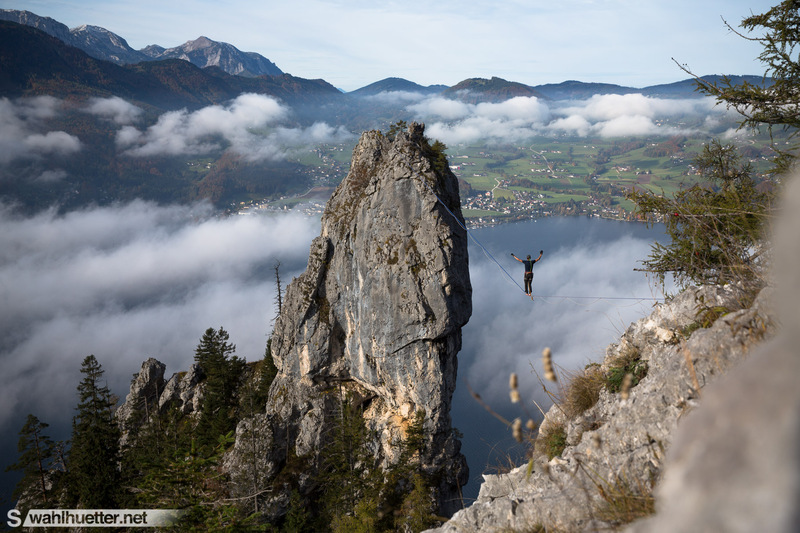 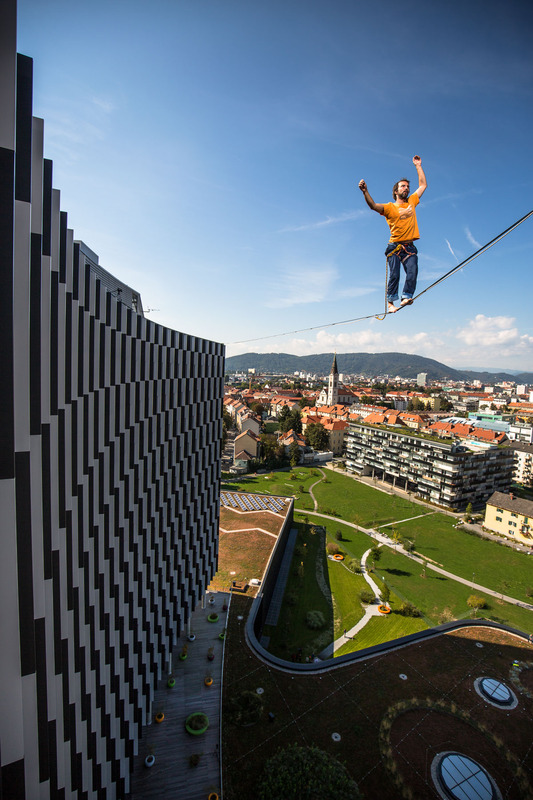 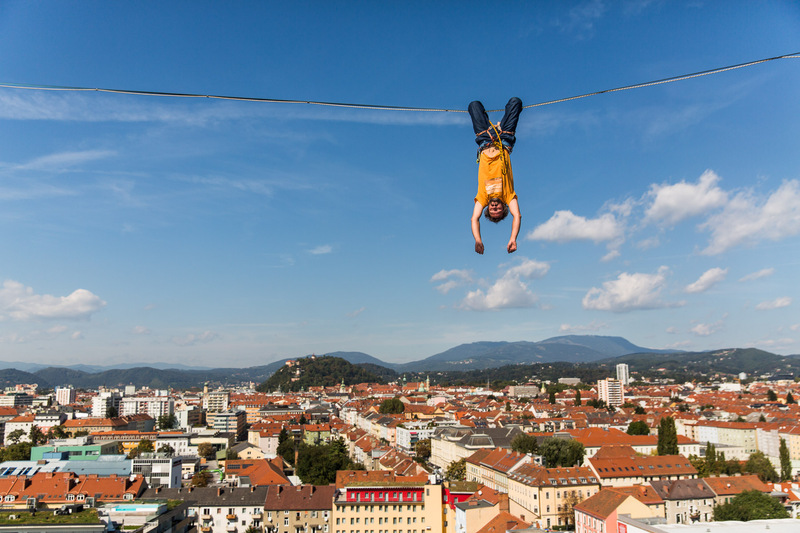 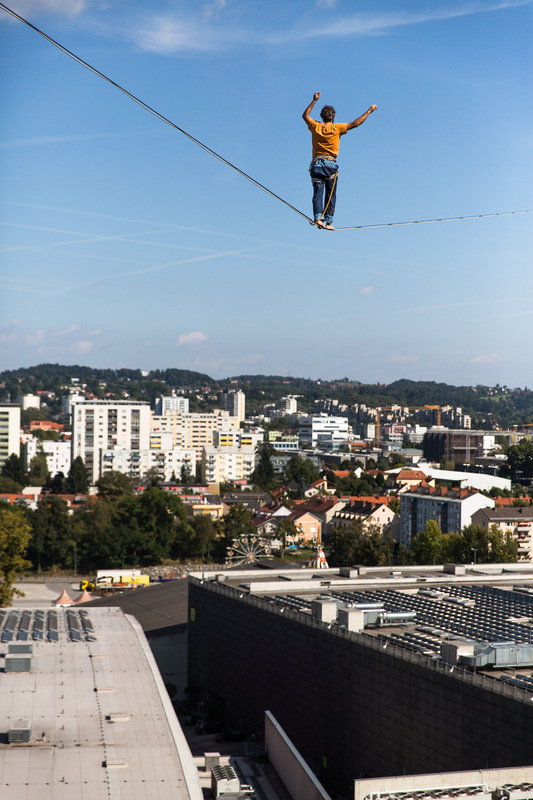 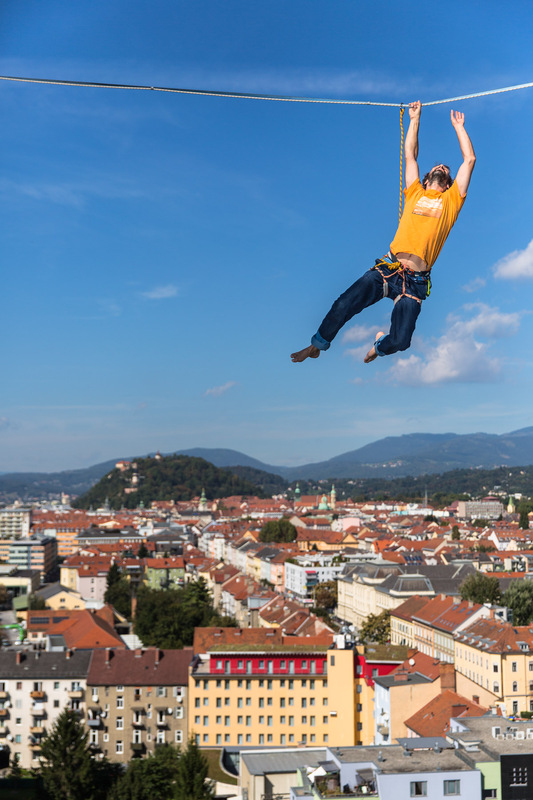 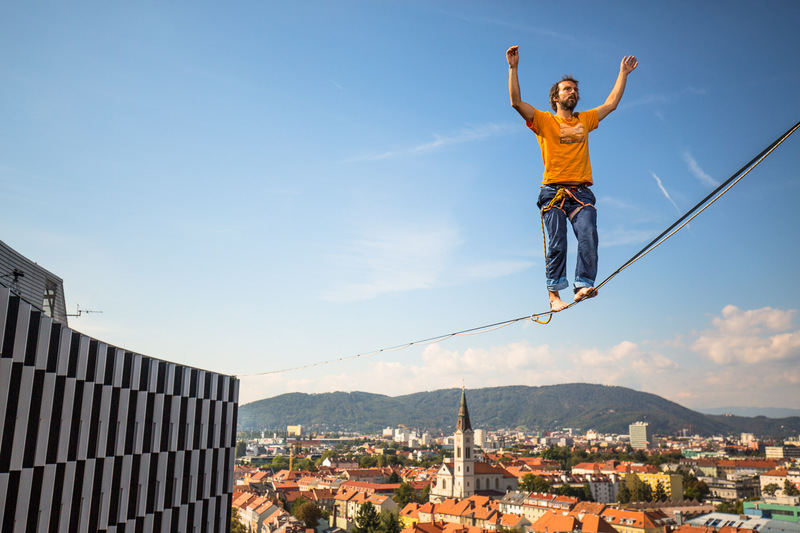 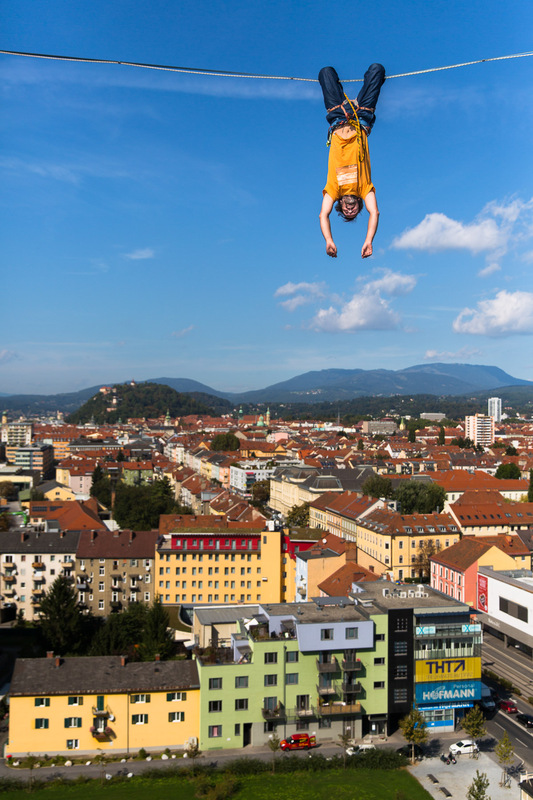 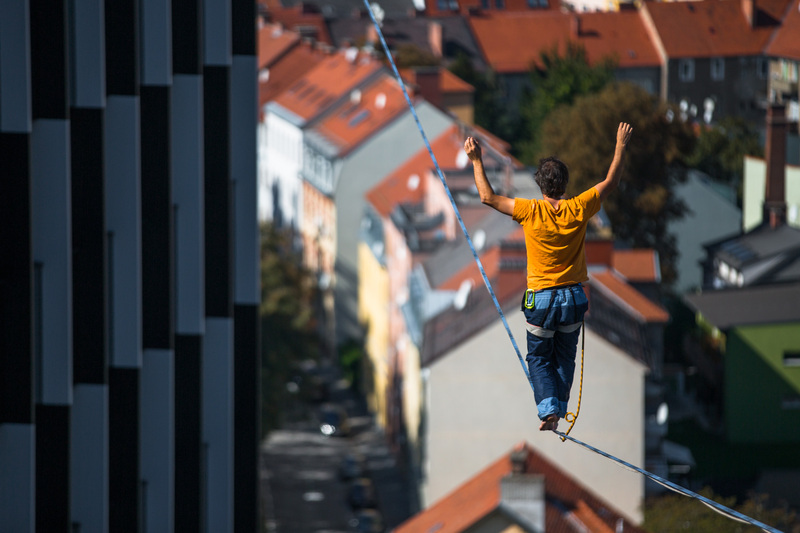 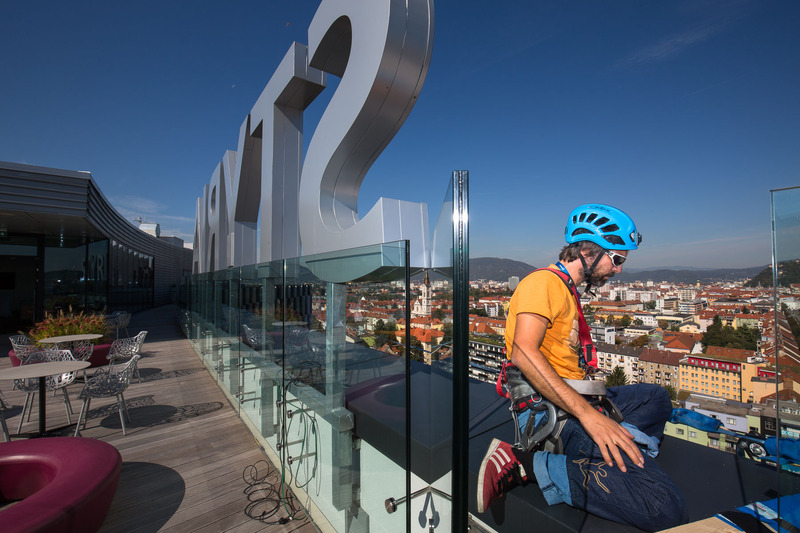 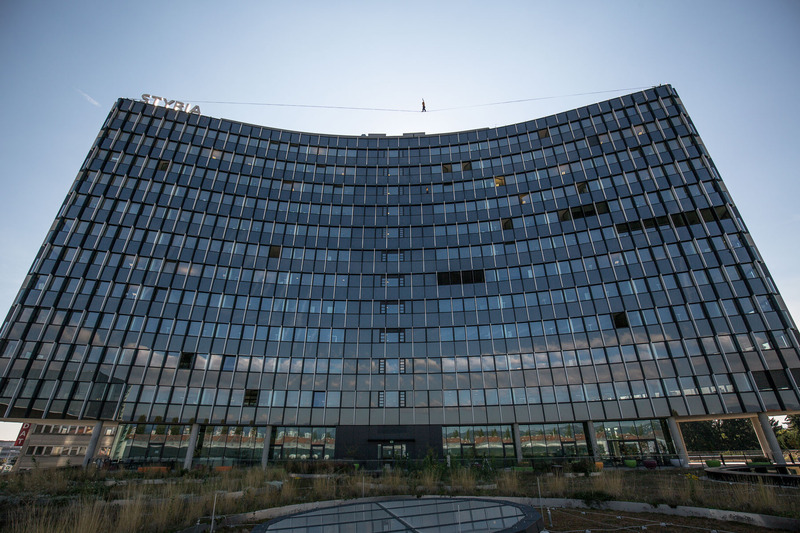 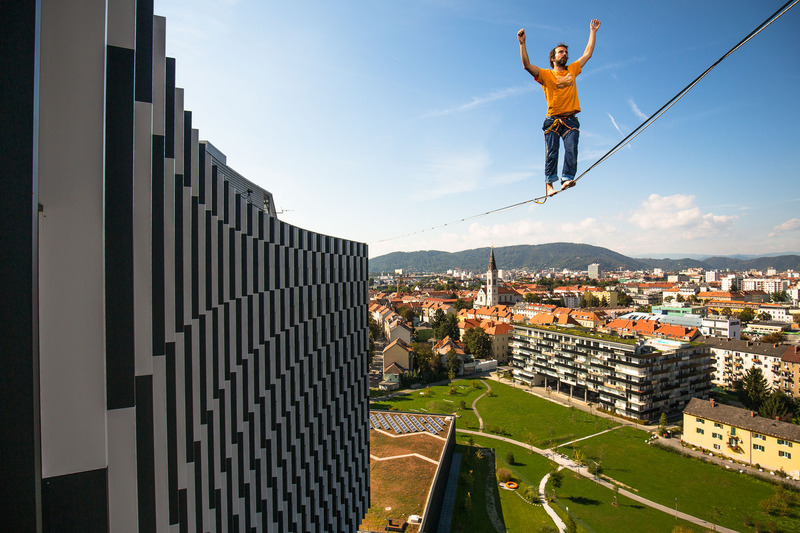 Athlete Reinhard Kleindl realizing a long planed highline project at the Styria Media Center in Graz, Austria. 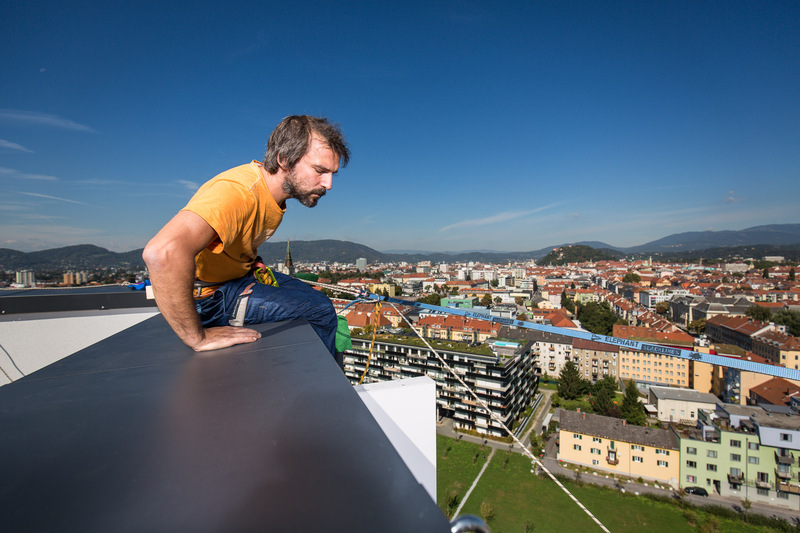 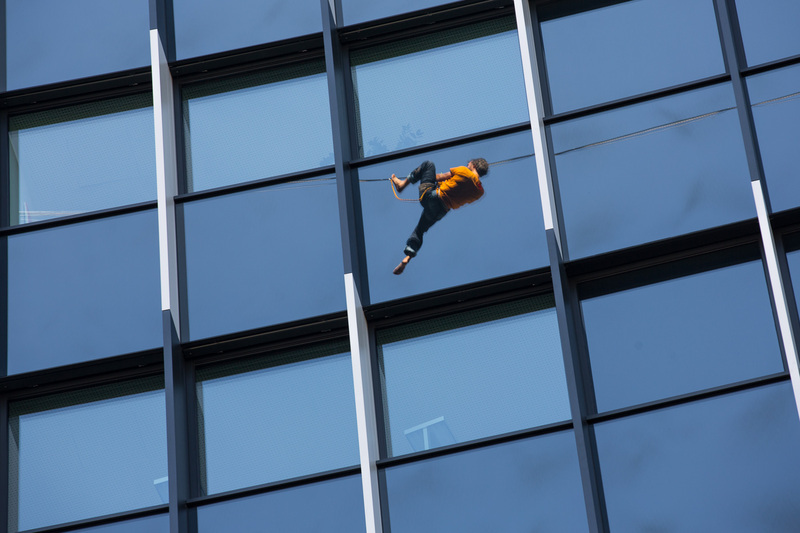 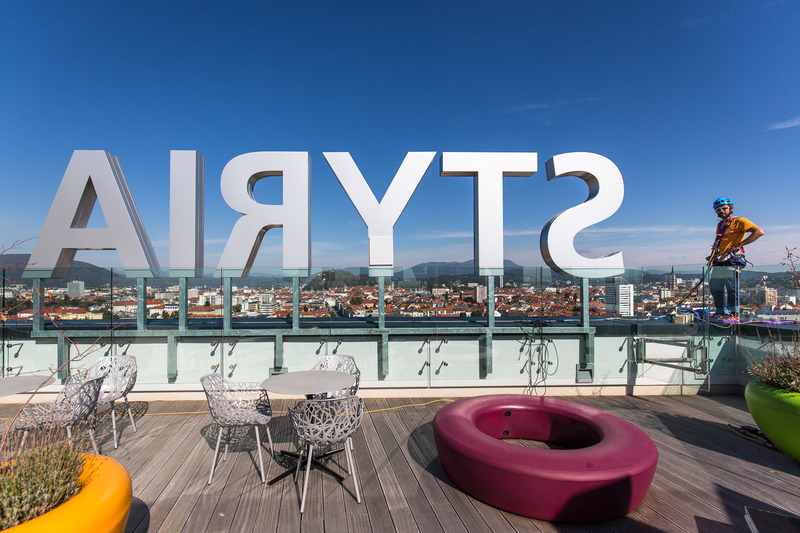 This project was realized in cooperation with the Mountainfilm Graz festival.